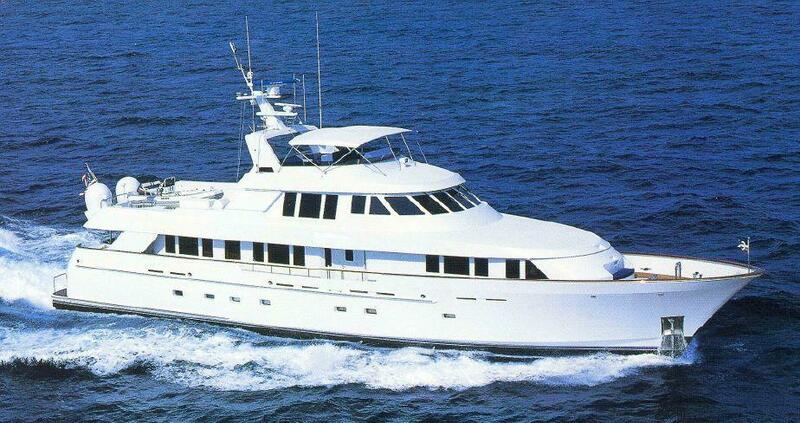 Merle Wood & Associates is pleased to announce that the BEIJA FLOR yacht sold this week. BEIJA FLOR features spacious accommodations for up to 8 guests in 4 staterooms, and a full-beam master suite located amidships on the lower deck. With a king-size bed, large closets, and his-and-hers en suites joined by a Jacuzzi and shower, the master suite is impressive. Guest staterooms include 2 identical queen en suites, each with its own entertainment system on the lower deck, and a lavish VIP stateroom forward on the main deck. With the BEIJA FLOR yacht sold by Merle Wood & Associates marking yet another Delta yacht sale, no other yacht brokerage firm has sold more Delta yachts than we have, whether we're representing the seller or buyer (including new yacht construction). With over 7 feet of headroom throughout, her voluminous interior styled by Pavlik Design features honey-colored steamed beech woodwork with maple burl inlays. The BEIJA FLOR yacht sold to a new owner featuring a lavish main salon with a full bar, 6 chairs, and a generous seating area containing 2 plush, white sofas and an armchair. Large windows let in lots of natural light, complementing the neutral tones of the carpet and ceiling. A forward dining area housing a round table and chairs has a starboard staircase that leads up or down to the guest rooms. Up on the bridge deck, a spacious skylounge is bathed in natural light from her large windows, and features teak wood flooring with a beige carpet inlay under the purposefully grouped furniture. Featuring vast exterior deck areas, the BEIJA FLOR yacht sold by Merle Wood & Associates has a generous main aft deck, which offers outdoor dining and socializing at a table for up to 10 guests under a hardtop. The bridge deck aft has an additional option for al fresco meals at a casual dining table facing a U-shaped built-in settee, a Jacuzzi and grill, as well as easy access to the flybridge. In addition to the sweeping views, the flybridge boasts additional sunbathing areas and full helm controls. Two Detroit Diesel/Allison 16V92TA engines at 1,450hp each, offer a top speed of 17 knots, a cruising speed of 13.5 knots, and a range of 2,000 nautical miles at 10 knots. We would like to thank the corresponding brokers who assisted in the marketing of this vessel. And congratulations to our own luxury yacht broker John Cohen who represented the seller. For more information on motor yachts for sale that are similar to BEIJA FLOR, please contact Merle Wood & Associates. Having traveled the world to inspect, purchase, sell, and build yachts of all sizes and types for nearly 20 years, John Cohen of Merle Wood & Associates is considered by clients and fellow industry professionals as a highly respected luxury yacht broker. For additional information, read the full BEIJA FLOR yacht specs or view the BEIJA FLOR yacht price and details. For information about the BEIJA FLOR yacht, or for expert knowledge from a qualified yacht charter broker, simply contact the luxury yacht brokerage firm of Merle Wood & Associates for assistance.